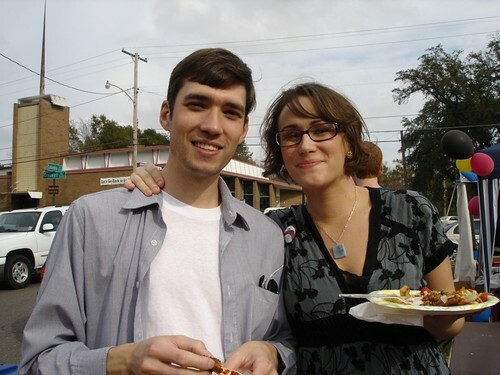 Shannon & Eric Brock, Shreveport, a photo by trudeau on Flickr. Eric Brock, gifted spieler of the story of Shreveport, "died this afternoon as a result of a heart attack and stroke suffered Thanksgiving night. He was 45." So wrote John Andrew Prime in a glowing obituary in The Times. Brock seemed born a historian of the community; as a youth he amassed materials on Shreveport such as photos and postcards. His columns on Shreveport history - written for the Shreveport Journal and Forum News - were detailed, readable and appreciated. Four Brock books on Shreveport history are currently on sale at amazon.com. Brock lived well, tooling around town in a Mercedes and smoking cigars. Quick of wit and energized by stimulating conversation, Brock seemed ever considerate of his audience. "Brock's survivors include his widow, the former Shannon Glasheen, who helped him with much of his research since their marriage six years ago," wrote Prime. "We have live entertainment every night at the bar," says John Montelpre of 2Johns Restaurant. "Tuesday it's pianist Drew Ley and, on Wednesday, pianist Winston Hall. 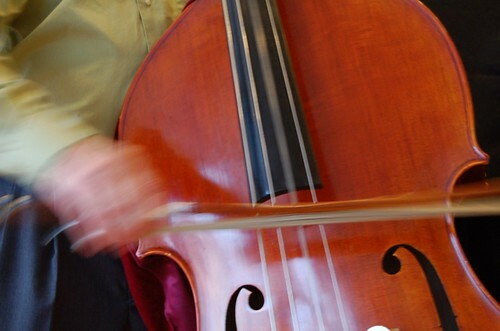 Thursday is Jazz Night with Winston Hall and bassist Chris Allen. Friday is Drew Ley and Saturday we present Sam Halphen." 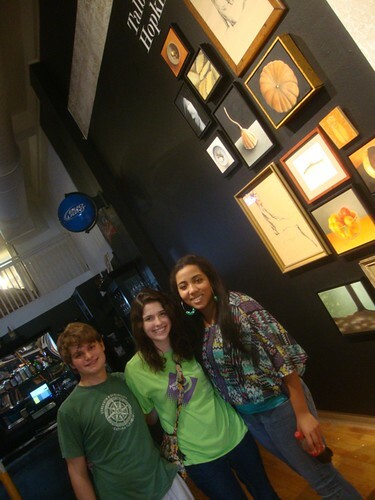 Wideman Piano Competition contestants, Shreveport, a photo by trudeau on Flickr. "The Wideman competition is coming up this week-end!" writes Lester Senter Wilson. "Performances are Friday, Dec 2, from 11:15 to 1, 2:30 to 6 and Sat, Dec 3, from 9:30 to 1 ,2:30 to 6. On Sunday, Dec 4, -1 to 6 pm, we will have finals at Centenary - at the Hurley School of Music, Anderson Auditorium." "We have 41 terrific pianists this year. Stop in and have a listen and give a cheer!" 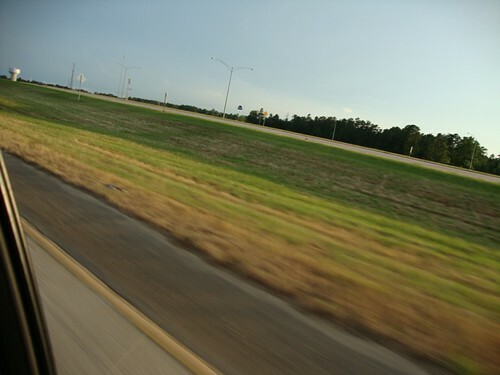 road shreveport , a photo by trudeau on Flickr. The Laramie Project, a play by Moises Kaufman and the members of Tectonic Theatre Project, will be performed at Shreveport Little Theater this week, says Robert Darrow. Directed by Nate Wasson, it stars Chris White and a group of teens who are developing their stagecraft at the academy, SLTA. Info and tickets at shreveportlittletheater.com. IMG_0238, a photo by coffeeisgreen on Flickr. 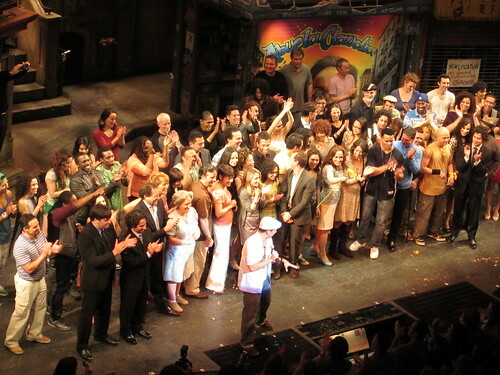 In The Heights is the kind of musical that comes around once in a generation, says the Strand. It builds on the best traditions of theater while forging new territory. In the Heights tells the universal story of a vibrant community in Manhattan's Washington Heights – a place where the coffee from the corner bodega is light and sweet, the windows are always open, and the breeze carries the rhythm of three generations of music. It's a community on the brink of change, full of hopes, dreams and pressures, where the biggest struggles can be deciding which traditions you take with you, and which ones you leave behind. I-49 Brass Quintet, Shreveport, a photo by trudeau on Flickr. 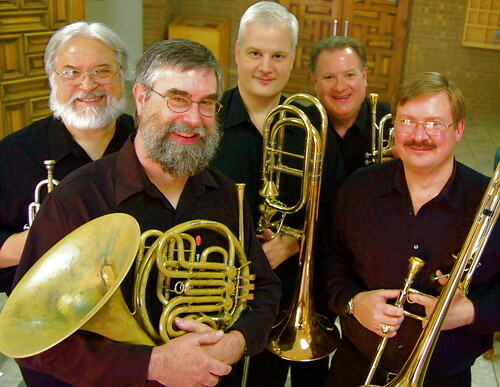 The I-49 Brass Quintet will present a public Christmas Concert at 7 p.m. Monday, Dec. 5 in the sanctuary at Broadmoor Presbyterian Church of Shreveport, says Lynn Stewart. The event will feature a variety of holiday favorites performed by quintet members Rick Rowell and Mike Scarlato on trumpets, Tom Hundemer on French horn, Mark Thompson on bass trombone and Mike Davidson on tenor trombone. Tickets, $10 per person, are available in the church office and at the door. All proceeds from ticket sales will benefit the Salvation Army. The church is located at 1915 Grover Place in Shreveport’s Broadmoor neighborhood. For further information, call 318-868-3659. Alonzo / Trudeau 09, a photo by trudeau on Flickr. 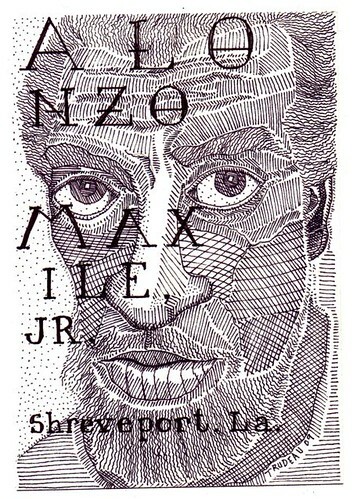 "Portraits of soulful Louisianians rendered in detailed pen-and-ink are something I plan to pursue until a body of work has been amassed. I see these portraits as part of Louisiana history. More importantly, these portraits lavish attention on subjects not chosen for their model-like appeal or conventional handsomeness." Thus says mixed-media artist Robert E Trudeau of his work. Prints on display at Artspace Shreveport are $25. Black-painted pine board is the new framing for the Louisiana Faces prints. 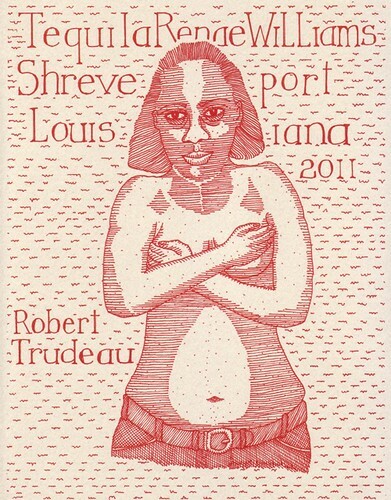 "Gluing prints to a board is in the tradition of Louisiana folk art and is true to the tone of my sketches," says Trudeau. Non-framed prints - on card stock - are $10. See a slideshow for choices of subjects. Prints can be rendered in red or blue ink, btw. "These prints of my sketches are not commodities," says Trudeau. "They represent stories of the intersection of my life with local characters. If you buy a sketch you can get more than something to hang on a wall. You have an opening into the life of an artist who invests thought and care into rendering soulful views of earthy people." Highland Blues & Jazz Fest: Chris Brown, Sara Smith, a photo by trudeau on Flickr. "Great trail. Party of 10, plus 5 dogs, loved it," reported Chris Brown on Friday as he introduced his family to the Coates Bluff Nature Trail. 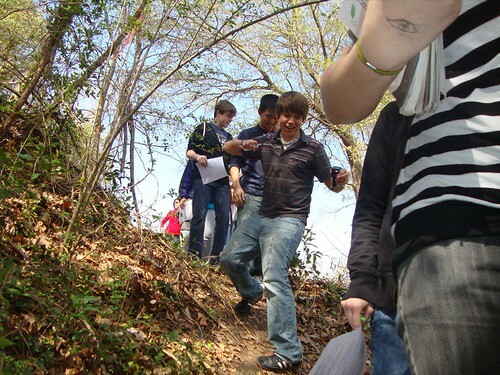 When you're ready to walk the half-mile path, you can park at Caddo Magnet High / Valencia Park or at Montessori School for Shreveport. The path runs parallel to the mostly-dry Bayou Pierre river bed. Sycamores, hackberry trees, native pecan, rattan and switch cane are typical of the growth on the trail. There are 2 tree trunks to crawl over and one fallen tree to crawl under. There's a beaver lodge on the watery section. Find photos and maps here. IMG_1544, a photo by justien on Flickr. "Installations and performances that manipulate spaces, real, virtual, and imagined will be streamed from Berlin's Lab for Electronic Arts and Performance on Nov 26," announces Peter Kirn, electronic music performer and writer who has recently relocated from NYC to Berlin. "New works make noises with reel-to-reel tape, code, mechanical percussion, and more. I’ll be playing a live set with Pd, producing granular architectures from the harmonious sounds of piano and synth. And a highlight promises to be Robert Henke (of Monolake and Ableton fame, among other things), performing an epic 12-hour performance." Kirn authors the sites Create Digital Music and Create Digital Motion. Videos, stills and descriptions of the Berlin performances will be found there. "We need people to stand guard with fire extinguishers by each fire barrel. 7 total fires, 7 locations, 6 hours max," says John Christopher Martin at Feast of the Senses, a celebration at minicine on Fri, Nov 25, beginning at 8 pm. or 1 hour, from 8-2," adds Martin. Feast Of The Senses is an all ages fundraiser in support of Steve Godfrey's 5000 mile, 3 1/2 month LA-TX bicycle tour, Tour de Life, @ biketourdelife.org. This Feast is to raise money for the trip. - On exhibit will be a number of 5 foot square art pieces on the walls of the Courtyard at Minicine, each by an anonymous local artist. 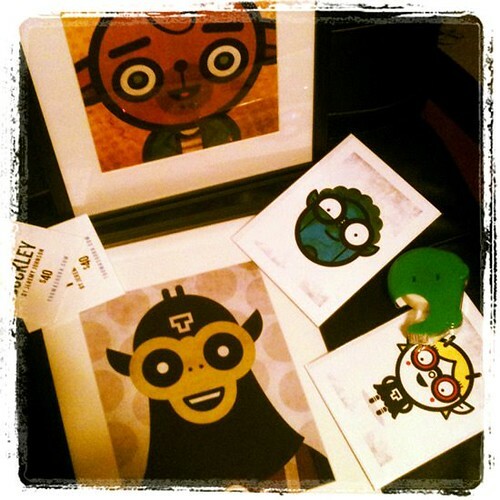 They are to be auctioned during the show by guest MC Zoozoo Haha. A central Fire Sculpture by Jay Marks will be set up to illuminate the courtyard. 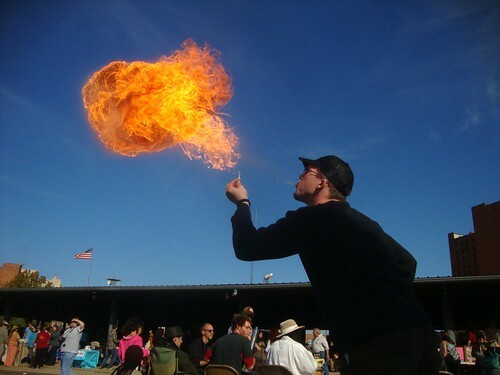 Fire Poi performances by Justin Clark and others TBA will be shown for your eye feasting! We are asking that all guests respect our No Artificial Light policy during the event. All safety measures will be taken, and we ask your cooperation with keeping the event family oriented!! Musical groups include: Riverwolves, The Bellys, Rinkus, Winterbabies, The One-Armed Man, and Drum Militia. A burrito stand will be setup as well. See the schedule and volunteer by checking the Feast page on Facebook. Artspace Shreveport / fine arts survey, a photo by trudeau on Flickr. Jewelry, paintings, sketches: a holiday artopia has been installed at Artspace with you, the art lover, in mind. Choose from work by 17 juried artists and artisans. Donna McKechnie, actress, a photo by trudeau on Flickr. 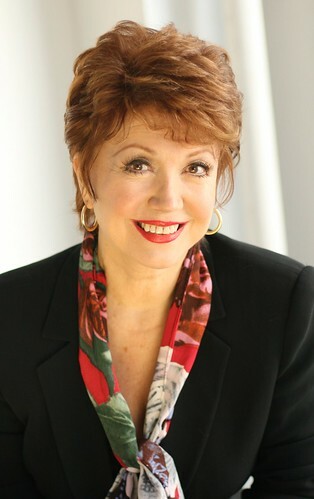 Tony Award winner Donna McKechnie will star in River City Repertory Theatre’s 2011-12 season opener, Frank D. Gilroy’s The Subject was Roses, says Patric McWilliams. River City Rep, North Louisiana’s only professional theatre company, is starting its sixth season. winning film in 1968 starring Patricia Neal, Jack Albertson and Martin Sheen. Logan Sledge and Richard Folmer complete the three-character cast. McKechnie won a Tony Award as Best Actress in a Musical for the original production of Michael Bennett’s A Chorus Line. The play is directed by River City Rep’s Artistic Director, Patric McWilliams. 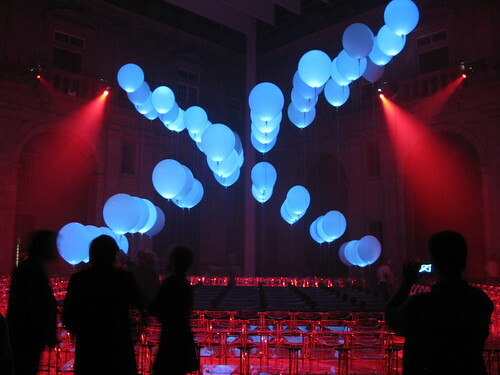 Light Design is by David Gipson. Set and Costume Design are by McWilliams. Original Music/Sound Design is by Kermit Poling. Wig Design is by Paul Huntley. December 9-10 @ 7:30 p.m.
December 11 @ 3:00 p.m.
Student/Military discount 30 minutes prior to each curtain. All seats $10.00 with valid I.D. 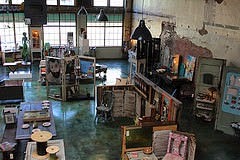 Fantastic Mr Fox / Artspace Shreveport , a photo by trudeau on Flickr. Feeling Foxy but want, asks Julia Foley, an Adults Only show? - Thursday, Dec. 15 at 8:30 pm!! 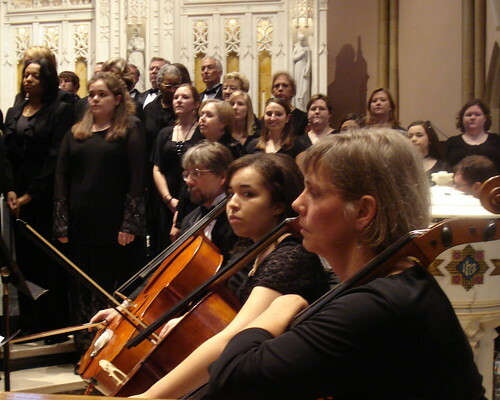 Mozart Requiem at St John's: Christian Zweib, Alexis Barnett, Kristina Vaskas-Haas, Shreveport, a photo by trudeau on Flickr. Celebrate the holidays in style with the amazing soprano Twyla Robinson, the SSO and the Holiday Pops Children's Chorus, says Michael Butterman. A memorable and fun evening filled with seasonal favorites, our toe-tapping Holiday Pops concerts will put you in a festive mood. Twyla is a graduate of Centenary College, and we're excited to welcome her home for the holidays! This year, we've added a matinee performance. These concerts are expected to sell out, so get your tickets early! vendors, a photo by trudeau on Flickr. Hope to see you there tomorrow, fellow citizens of Shrevetown, and stand in line with you at Carolyn's Tacos, Marilynn's Place red beans & rice and Burning Spear jerk chicken. 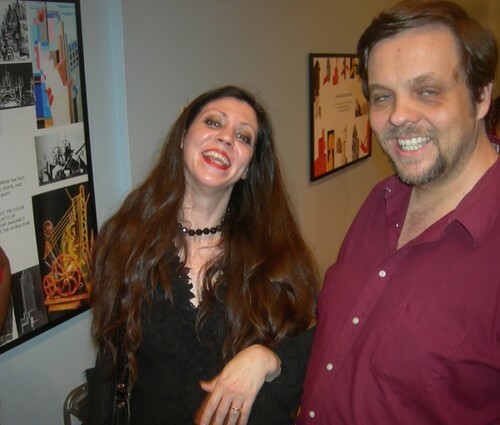 Danny Schmidt and Carrie Elkin, a photo by blueathena7 on Flickr. 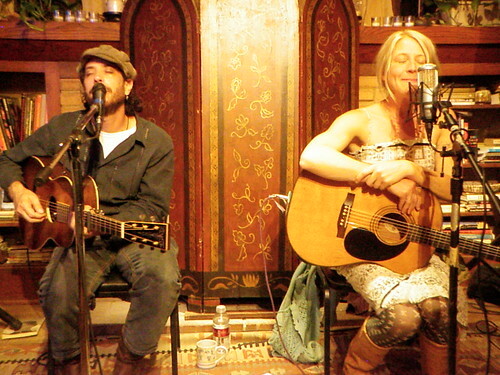 Danny Schmidt and Carrie Elkin sometimes get on the stage together despite their solo careers, says Jim Huckabay. a classic case of the whole being greater than the sum of its parts, thinks Huckabay. They will be joined by Texas master songsmith Sam Baker. He's been likened to a ..."Leonard Cohen, if Cohen had been a Baptist raised in west Texas". Sun, Nov 20, 7 PM, Fairfield Studios, 1510 Fairfield Avenue. $20 admission. Reservations recommended. Reserve at www.shreveporthouseconcerts.org or email: reservations@fairfieldstudios.com or call 318 219 7688. 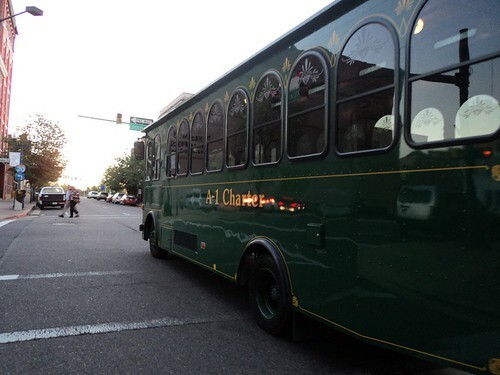 Downtown trolley, Shreveport , a photo by trudeau on Flickr. "All aboard the TNT Express; the Free Thursday Night Trolley tour which rolls through Downtown Shreveport every third Thursday of the month," says Bonne' Summers. The trolley takes visitors to downtown art, cultural and science attractions including museums, galleries and historical sites. Time: 5:00 pm – 8:00 pm, leaving from artspace! The Nov TNT Express takes you to a Night at the Museums! "Sustainable Choices: Living today with tomorrow in mind"
For more information including this month's destinations, contact the Shreveport Regional Arts Council at (318) 673-6500 or artspace at (318) 673-6535. Shoppers are encouraged to visit Shreveport Farmer's Market from 8:00 a.m. to noon on Sat, Nov 19, to pick up all needs for Thanksgiving tables, and for storing for winter, says Noma Fowler-Sandlin. It is the the final market day of 2011 for Shreveport Farmers' Market. An array of fresh vegetables, frozen meats, eggs, pecans, and delicious desserts to share with your friends and family are available. Many vendors are having specials on canned goods like jams and jellies. Gift items are also presently available for those looking for holiday presents. 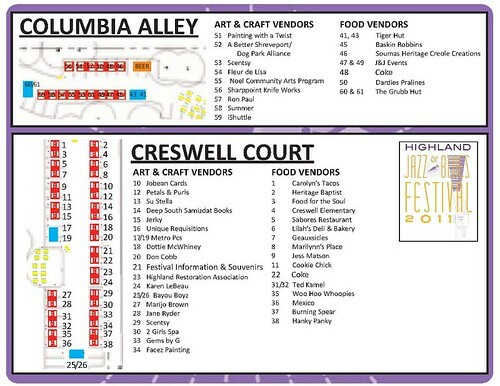 The market, which is located in Festival Plaza at 101 Crockett Street, runs seasonally, and will be returning in 2012 on Saturday, June 2. 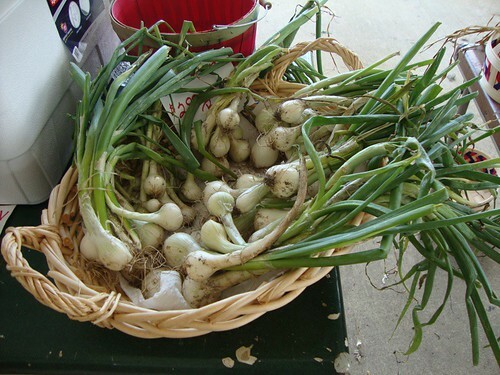 For more information, call (318) 455-5788, or visit www.shreveportfarmersmarket.com. Wed, Nov 16, Lake St Dance Hall, Shreveport, a photo by trudeau on Flickr. 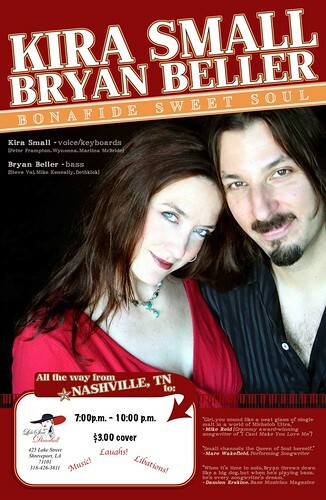 The sound of the keyboard-vocals-bass duo of Kira Small & Bryan Beller reminds me of Bonnie Raitt. The Nashville duo may offer perfect music for an early evening - 7 pm to 10 pm - at Lake St Dance Hall on Wed night. Btw, if you're a guitar aficionado, let it be known that Beller also performs in the Aristocrats with Guthrie Govan. 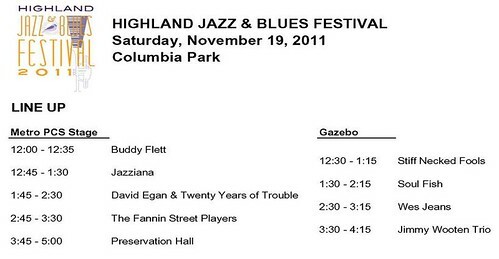 Highland Jazz & Blues Fest 2011, Sat, Nov 19, noon to 5 pm, a photo by trudeau on Flickr. Splendid array of musicians at the Highland Jaz & Blues Fest on Sat, Nov 19, including the eminent ambassadors of New Orleans soul, the Preservation Hall Jazz Band. There are still volunteer positions open at beer and coke booths and in logistic aid. To offer a couple of hours of service please email Stephanie Pedro at stephanie@vicinibuild.com. 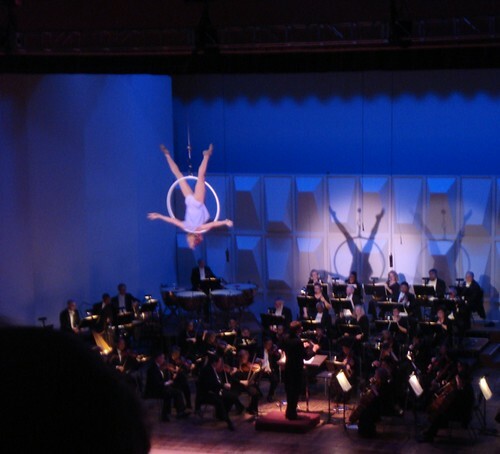 Cirque de la Symphonie / Shreveport Symphony Orchestra , a photo by trudeau on Flickr. The aerial work, juggling and comedy of Cirque de la Symphonie was stellar on Sat night at the SSO concert. Seated in row B, we watched with suspense, awe and satisfaction as the staid Riverview Hall - packed house - was electrified by the Cirque performers. The Sun at 2:30 pm concert is a new (once it was a staple of the SSO agenda) opportunity, occasioned by demand. More at the SSO site. Tequila Williams, red ink, Aug, 2011, a photo by trudeau on Flickr. Artspace will host a Holiday-themed Opening Party for the exhibit "Presents" on Nov 11, 5:30 pm - 8:00 pm. Partiers will be the first to shop and meet the artists, says Megan Porter. All purchases will get a 10% discount along with free gift wrapping - on Fri night only. Listen to music by Mr. Christopher and AJ Haynes. Admission is $10 person. Items purchased at artspace, either in PRESENTS or in our year-round giftshop “giftspace,”support regional artists. Shopping can also be done online through the giftspace e-boutique. The exhibit will be open Nov 12 through Jan 7. Maintenance has been completed on the Coates Bluff Nature Trail, says Jon Soul. Sat, Nov. 12, is the official trail opening. 8:30 - 11:30AM -- parking, bathrooms, and info tables available at Montessori School for Shreveport (MSS). Cirque de la Symphonie, Shreveport, a photo by trudeau on Flickr. The magic of the circus returns to fly above the musicians as aerial fliers, acrobats, contortionists, jugglers and dancers share the stage with the Shreveport Symphony Orchestra. This was a sell-out event when Cirque was with us last time, says Lois Robinson. See more on SSO tickets. And see video of Cirque in the air. Baroque Artists of Shreveport , a photo by trudeau on Flickr. Violinist Laura Crawford returns to the Baroque Artists of Shreveport on Sun, Nov 6, 3 pm, says Ruth Drummond. The septet will perform work from Handel, Marais, Albinoni, Telemann and Biber, says Drummond. Dan Santilices, Sally Horak, Theresa Zale-Bridges, Gay Grosz and Cathy DeRousse complete the list of performers. The site is the acoustically rich Anderson Auditorium at Centenary College. 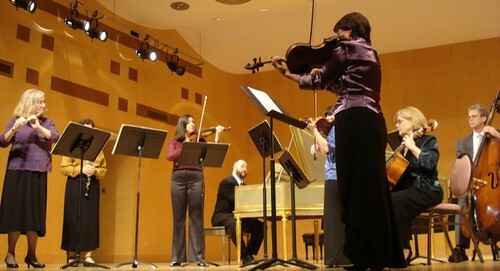 The BAS season schedule includes concerts on Jan 15, Mar 11 and May 6, 2012. 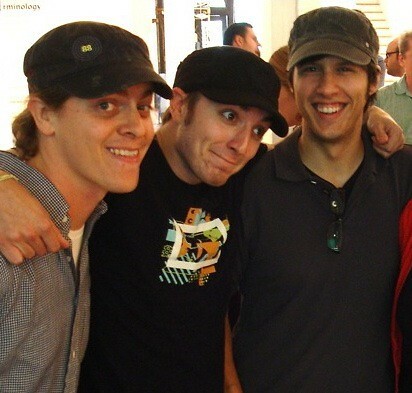 Moonbots Brandon Oldenberg, Adam Volker and Joe Bluhm, a photo by trudeau on Flickr. A lengthy article in Atlantic Monthly gives Moonbot Studios google-eyes and Shreveport the benefit of the doubt in such measure that a publicist would weep with joy. It is entitled "How to Build the Pixar of the iPad Age in Shreveport, Louisiana." Well, you will say: Moonbot has earned the media's bedroom eyes. Indeed it has. Says the Atlantic, "Morris Lessmore may be the best iPad book in the world. In July, Morris Lessmore hit the number one spot on Apple's iPad app chart in the US. That is to say, Morris Lessmore wasn't just the bestselling book, but the bestselling *app* of any kind for a time. At one point or another, it has been the top book app in 21 countries. A New York Times reviewer called it "the best," "visually stunning," and "beautiful." Wired.com called it "game-changing." MSNBC said it was "the most stunning iPad app so far." And The Times UK made this prediction, "It is not inconceivable that, at some point in the future, a short children's story called 'The Fantastic Flying Books of Mr. Morris Lessmore' will be regarded as one of the most influential titles of the early 21st century." Read on to learn more about the roles of Bill Joyce and Christina Ellis in the story of Moonbot and Shreveport. 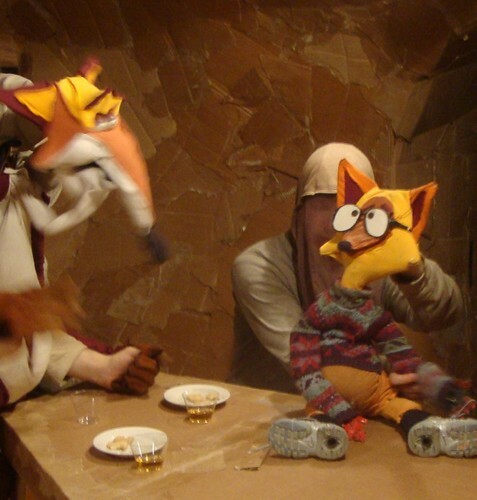 You'll also catch a vibe as the Atlantic reporters visit Artspace and "The Fantastic Mr Fox." Toomasooba.com / Jeremy Johnson art & photo, a photo loaded by trudeau on Flickr. Jeremy Johnson is a designer and cartoonist from Shreveport, says Monsieur Johnson, who creates artwork under the moniker of Toomasuba. His curious creations and illustrations are inspired by Saturday morning cartoons, late-night sitcom re-runs, science fiction, comics, rock n' roll and coffee...lots and lots of coffee. Check out toomasooba.com to see more of his work. See Johnson's work at Lilah's Deli the entire month of Nov.
Lilah's Deli and Bakery is open Mon.-Fri. 8am-6pm & Sat. 8am-3pm. Hayden, Paul, Stewart, Fizzy, Susan at Columbia Park, a photo by trudeau on Flickr. "Please join us in the Highland Restoration Assoc neighborhood cleanup," says Kelly Payne Gay. "Our cleanup will be held this Sat, Nov 5th, from 8am to 11am. We will meet at the Columbia Park parking lot. We’ll provide gloves, trash bags, and trash grabbers for volunteers to use during the cleanup." "Because there are a number of other community events going on this weekend, we will have a shorter event and we will not go out to lunch after. So please come out and help us pick up the candy wrappers from our trick-or-treaters and get the neighborhood looking good for the Nov 19 Jazz Fest!" An additional community event: Shreveport Green is having a hazardous material disposal on Saturday from 9am to 11am; drop off is 3825 Mansfield Rd.